Cropmania - Spring Scrapbook Yard Sale - 2020 Date TBD From 9am-1pm $5 entry fee for bargain shoppers! (to request a vendor spot, please email Teresa ON JANUARY 1, 2020 at cropmaniagal@gmail.com) Also see below for directions how to get there from all points east, west, north and south. Spring Scrapbook Yard Sale - 2020 Date TBD From 9am-1pm $5 entry fee for bargain shoppers! Also see below for directions how to get there from all points east, west, north and south. For SELLERS, $25 per 6 foot table and 2 chairs (up to 2 tables). 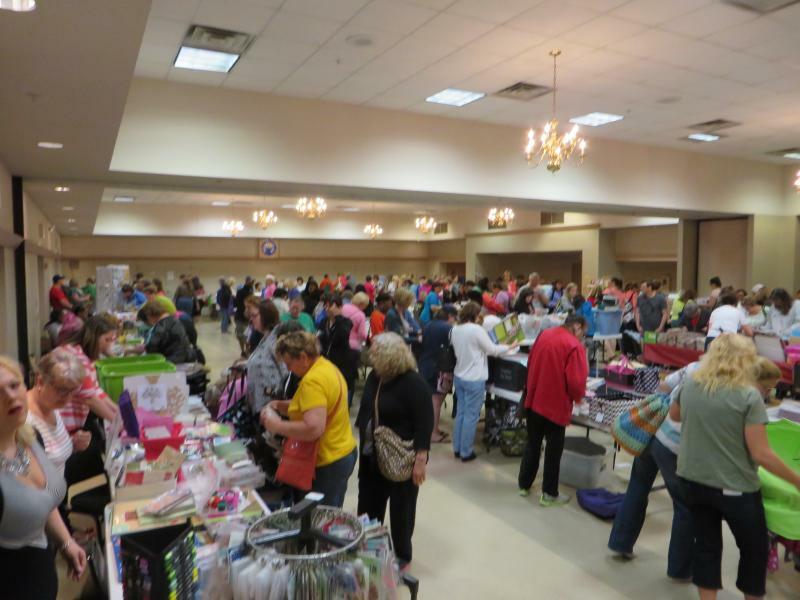 Registrations for tables for the Spring Yardsale open on January 1st, just send us an email at cropmaniagal@gmail.com to request the registration form and to request one or two tables for selling scrapbook related items only. For BUYERS, doors open at 9am, $5 entry fee (kids are free but no strollers please). We will be stamping hands so you can come and go at your leisure. ATM onsite. Don't forget an empty bag! "This is the BEST place to shop for bargain scarpbook supplies! "....yes, these ladies filled 4 bags and come back every year to do it again! Edgewater. Stay to the left on the exit ramp. * When you come off the exit ramp, proceed across Route 2 onto Grand Oak Drive and then make an immediate left onto Pythian Drive. Proceed straight and the Elks lodge will be on the left. * Take I-97 south from Baltimore Beltway towards Annapolis. * Go about 1 mile and take the exit for Route 2 (Solomon's Island Rd) South towards Edgewater. Stay to the left on the exit ramp. * When you come off the exit ramp, proceed across Route 2 onto Grand Oak Drive and make an immediate left onto Pythian Drive, proceed straight and the Elks lodge will be on the left. Grand Oak Drive, and immedialtely bear left onto Pythian Drive. Proceed straight on Pythian and the Elks Lodge will be on the left. *If you pass Annapolis Harbour Place Mall, you just passed the Elks Lodge and have gone too far. Turn around on Rt 2, go back and make a Left onto Grand Oak Drive and bear immediately left on to Pythian Drive. Lodge is on the left. *Go 1.1 miles on Rt 2 going South and then make a Left at the light onto Grand Oak Drive. Here the SELLERS are setting up & marking down! Ready, set, go! The bargain hunters shopping spree!